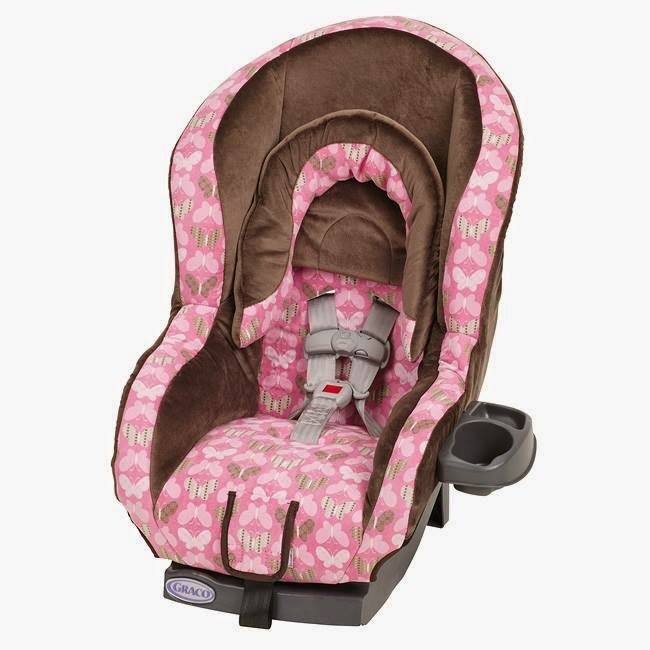 As I was putting together the pages in Lily's scrapbook about shopping for her, her baby items and clothes, I came across the car seat we got her. The car seat that remains unused in storage under my house. I was so excited about that car seat. It was perfect for her, pink and brown with butterflies. I picked it out at Target and Lily's daddy bought it for her. I kept meaning to get the guy at the birthing center where Lily was born to install it, but every time we tried, it didn't work out. So it never officially got installed. We were going to on the day we brought her home from the hospital. I guess God knew it would never need to be installed. That car seat symbolized so much hope, the beginning of life. Now it symbolizes the pain of empty arms leaving the hospital. I don't think I could ever get rid of that car seat. But I also don't know that I could ever use it for another child.